First of all, what’s with the title, “Dr. B’s Halloween Party Decor?” It will be a full six months before my daughter can claim the title “Doctor” as her own. Well, I am a little bit proud of the hard work she’s put toward becoming a dentist but I also needed a catchy title for my post, being that my thumbnails aren’t showing up on the daily read from Bloglovin’. Shameless, I know, but until I find a fix for this problem I’ve had since switching to WP I’ll be scrambling for catchy titles! So . . . I’m not really into decorating for Halloween. In fact, I don’t have a single Halloween decoration, unless you count the black light stored in my garage! My youngest daughter on the other hand, loves Halloween! Maybe her fascination with the holiday has something to do with the fact that she was “deprived” growing up at home. She still talks about how I never let her go trick-or-treating and how I made she and her sister go to the boring “Harvest Party” at church! I guess there may be something to the notion that telling a child “NO!” only makes them want to do something more! Anyway . 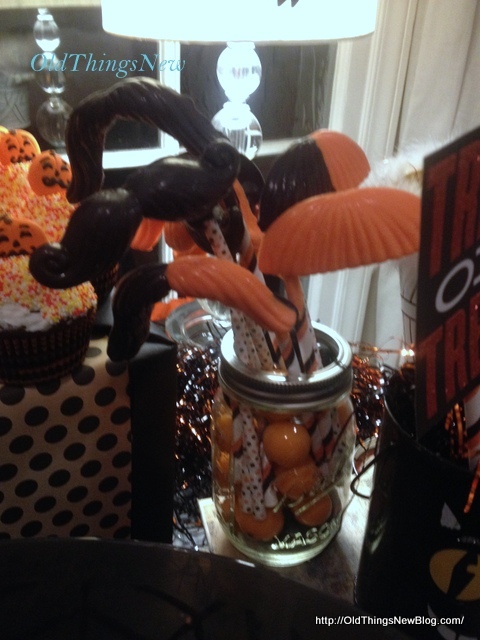 . . when Bethany sent me pictures of her Halloween decor for the party she had last Saturday night, I couldn’t resist sharing them with you. Bethany loves her little 1920’s SoCal apartment and has had a lot of fun decorating it. The charm she has been able to bring to her space on a student’s budget is amazing! 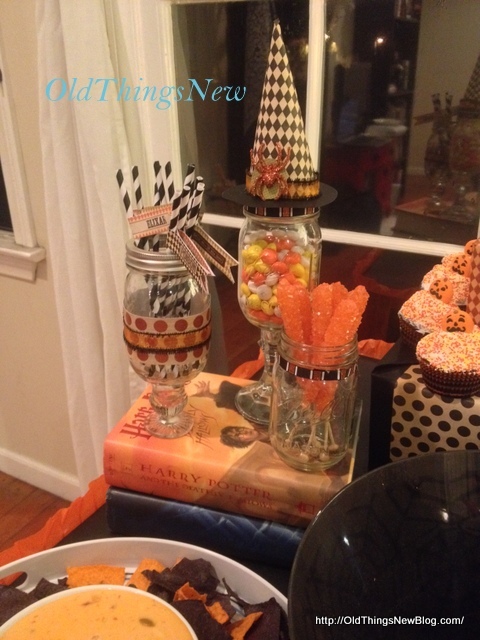 Maybe I’ll share more on her home decor later, but for now, here is a peek at the party. 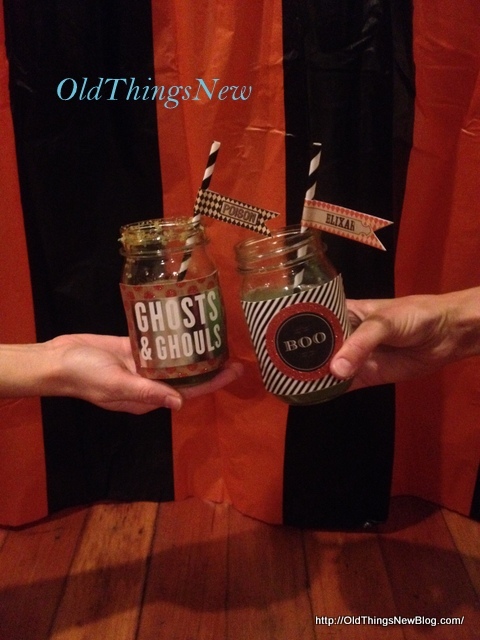 Bethany used Halloween scrapbook paper from Michael’s to decorate her drink glasses. 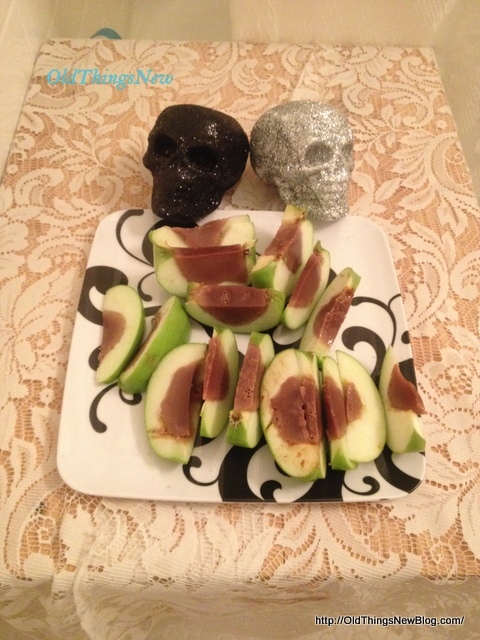 and apples filled with homemade caramel jello. Recipe HERE. The recipe calls for alcohol but she said these were just great without! The reportedly delicious punch was made from fresh pineapple, lime and lemon juices, sparkling water and homemade ginger simple syrup (Recipe HERE) topped off with a few floating Jell-O bugs! 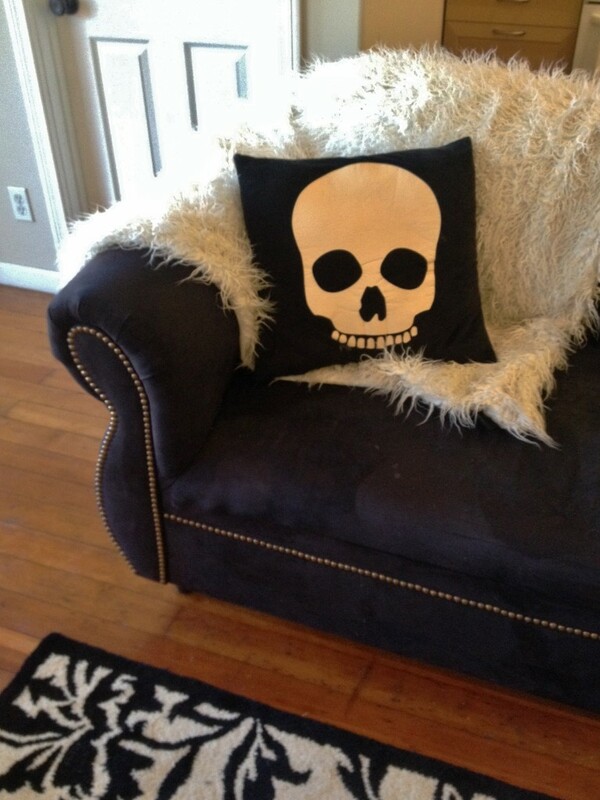 Here is a peek at Bethany’s living room. This is B’s couch, which we carried on top of her car for several miles on the LA freeway when she first moved to California. The story behind this Craigslist couch is kind of sketchy but we got the couch and ourselves home safely. Whew! Bethany recently added the tacks for a custom look. I think she did a beautiful job. By the way, this is a full length couch but the iPhone pics made it look scrunched up like a love seat. Bethany fell in love with this horse as soon as she saw him but it took her awhile to decide whether or not she could afford it out of her student loan money! She added gold leaf to a plain black Target frame to give it a touch of elegance. 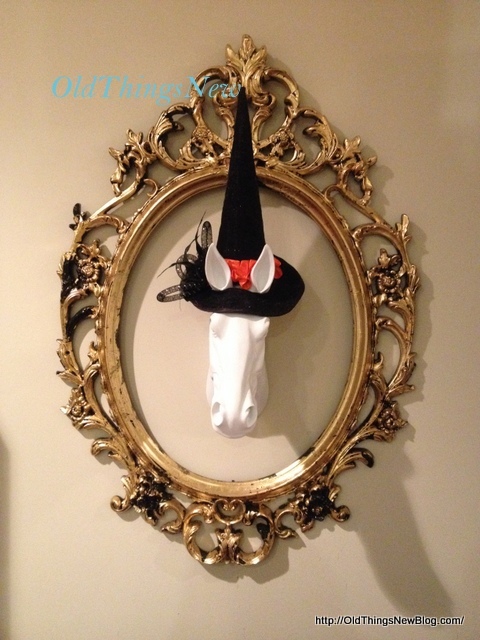 Can you say horse head and elegance in the same sentence? I think so! Here is my Bethany (in the middle) with her two fantastic classmates. These young women will make lovely dentists won’t they? 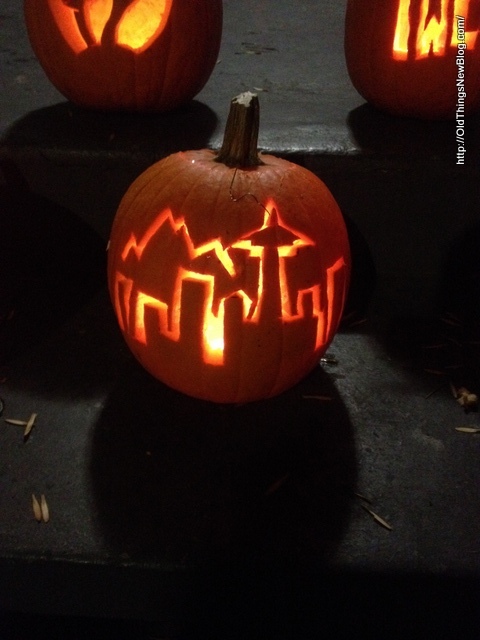 Finally, Bethany’s Seattle skyline pumpkin. She may be in LA for now but she’ll always be a Seattle girl at heart. Even though I’m not a Halloween person it has been fun sharing a bit of my daughter’s life and creativity with you. 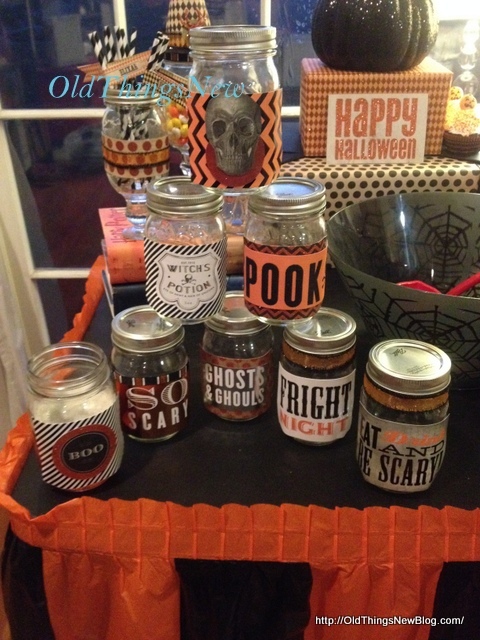 « Miss Mustard Seed Milk Paint and a Funeral Parlor Table! She has a great eye! I love her decorations. Thanks for sharing! 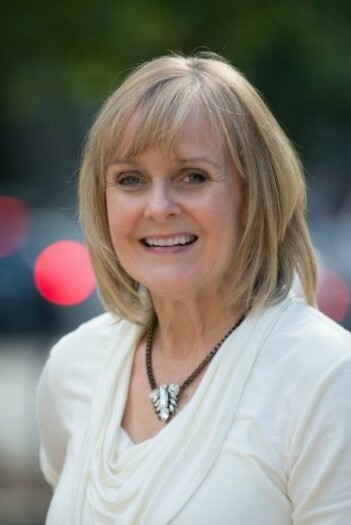 Patti, I’m right there with Dr. B. 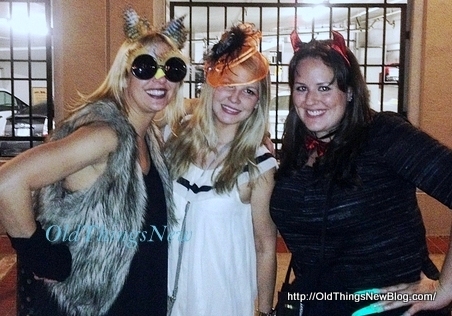 Love, love Halloween! Mine is because of all of the fond and fun memories I have growing up as a child. We tricked and treated the night away. Came home with a pillow case full. lol! Really, probably not full but in my young mind it was. She did a great job and I love all of her creative ideas. So glad you shared this with SYC. Duly noted and corrected! Haha! 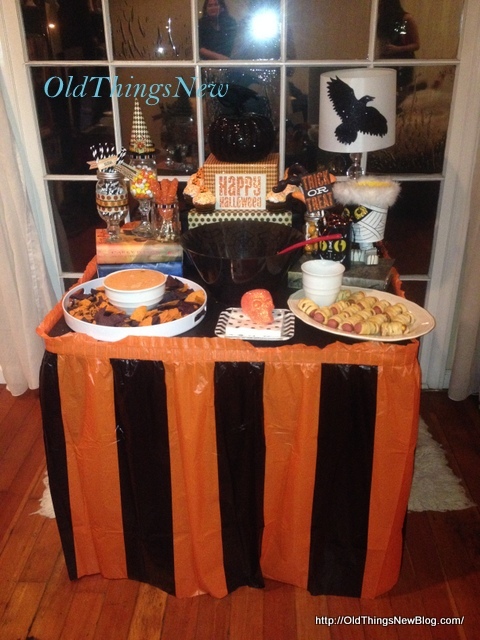 love that seattle pumpkin and the apple/caramel jello…whaAaTT? I neeeed that! 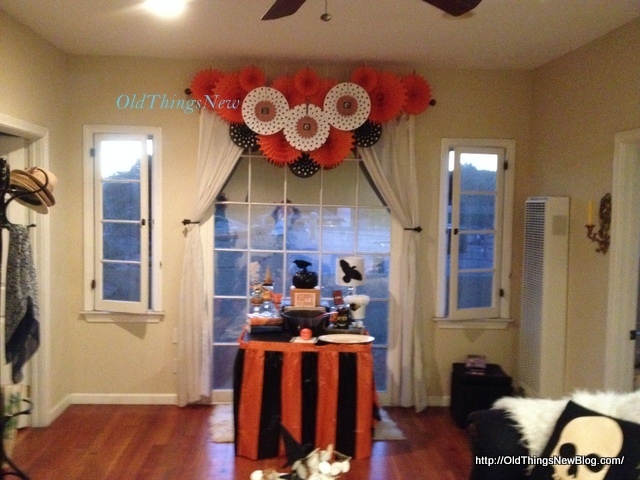 What a perfectly decorated Halloween party! 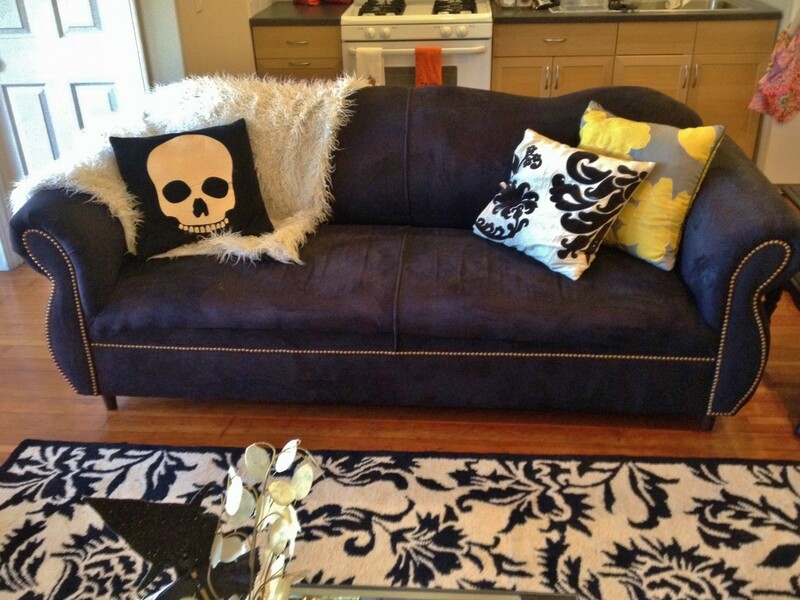 Oh and that couch I LOVE! What an awesome party and an adorable apartment! And congratulations to your almost doctor daughter!